Is 31st January 2019 a public holiday? A message has been circulating via WhatsApp that the 31st of January 2019 is declared a public holiday in conjunction with the King’s inauguration day. 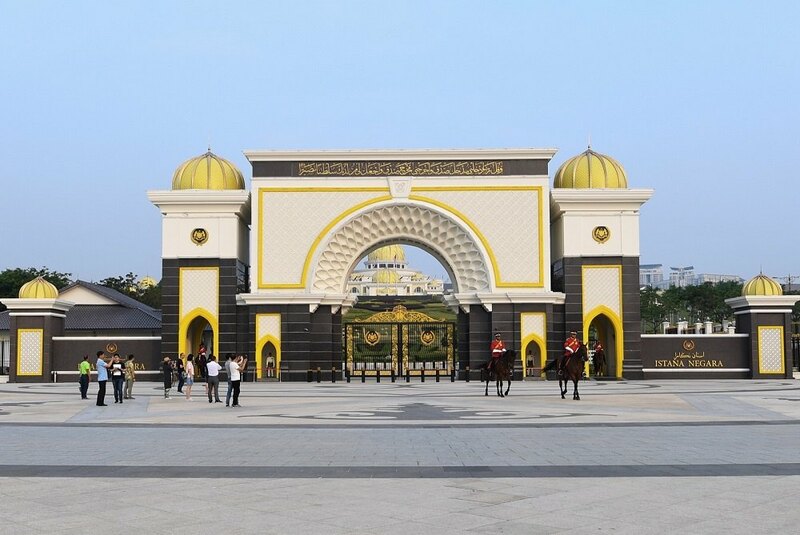 The 15th Yang di-Pertuan Agong, Sultan Muhammad V, had stepped down on 6th January 2019 and a new successor is expected to be appointed soon. If you look back on 24 April 2017, the government had declared a public holiday for the Agong’s installation. 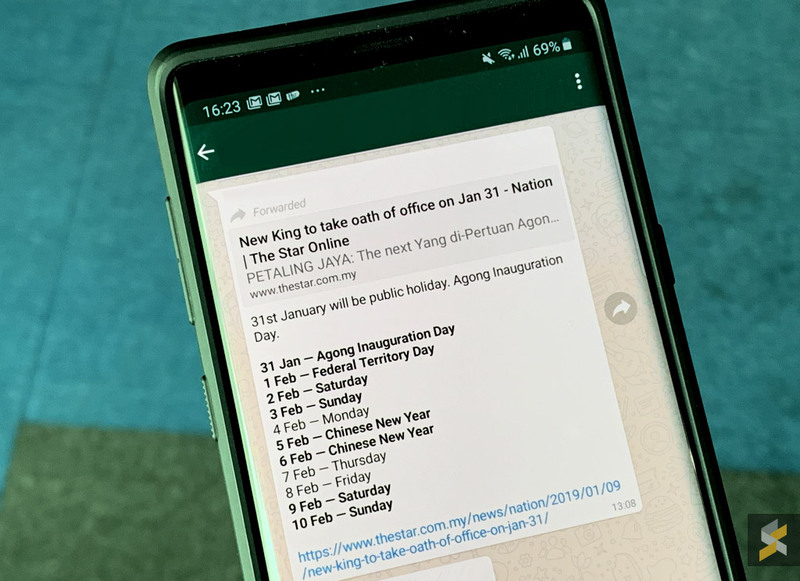 The viral message had implied that the next Yang di-Pertuan Agong will be installed on the 31st January and it will be a public holiday. The message ends with a link to an article by The Star which did not mention anything about a holiday. If you’re excited about having a long extended break, unfortunately, this message is untrue. The Malaysian Government Call Centre had posted that there’s no public holiday declared for the last day of the month. The announcement added that the Keeper of the Rulers’ Seal (Pejabat Penyimpan Mohor Besar Raja-Raja) have declared 31st January 2019 as the date for the 252nd meeting of the Conference of Rulers and there won’t be any installation ceremony on the same date. Even The Star debunked the rumour. According to the paper, only the Chief Secretary to the Government, Datuk Seri Dr. Ismail Bakar is the official appointed person to announce a public holiday. As always, don’t share if you’re not sure. It is recommended to verify the news with reliable sources before you hit the share button.